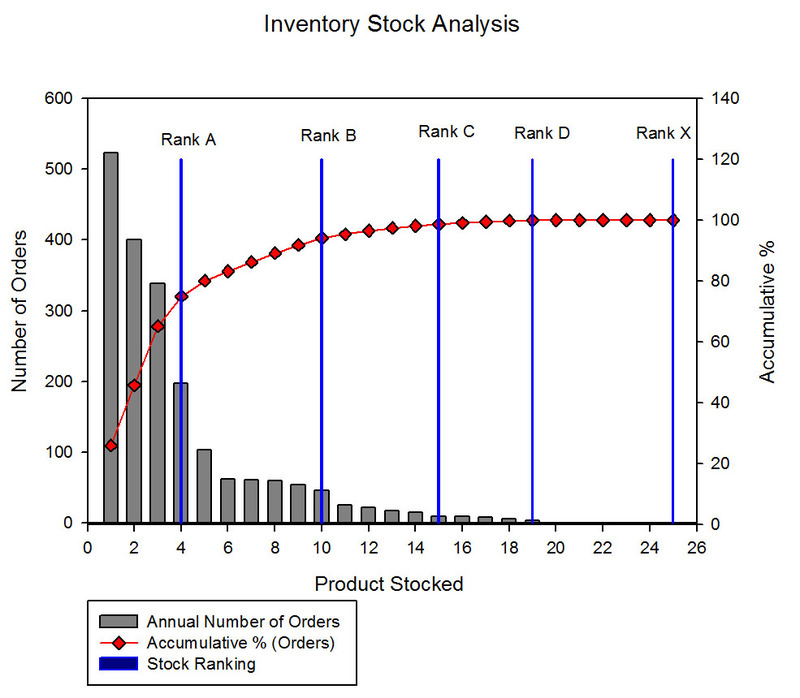 In this study, we looked at the effectiveness of a company’s inventory management processes. Inventory control first consists of knowing what products are in inventory, how much quantity is present, where the inventory is physically located, whether the product is in usable condition and what its turnover rate is. To determine what should be stocked, the items are ranked based on order frequency. Graphs are produced depicting the number of “hits” for each product as well as their accumulated percentages. The percentages are used to rank the products in descending order. The products with the lowest or no “hits” are reviewed at to whether there is a need to stock them in the future. Without a good reason to continue to stock these items, elimination should be considered. The study goes into greater analysis of inventory control issues with graphs and charts illustrating the use of ACG analytical tools. The objective of the study is to demonstrate ways of controlling excess inventory, annual carrying costs and product obsolescence.